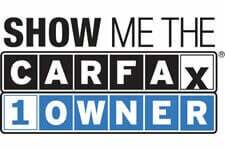 *** CARFAX CERTIFIED 1-OWNER VEHICLE! FACTORY LOADED! $11,900 JUST SPENT ON AN UPGRADED MOTOR WITH RECIEPTS! CAPABLE OF 800+ HORSEPOWER WITH A TURBO UPGRADE! RARE HIGHLY SOUGHT AFTER SUNROOF + LEATHER PACKAGE AND OEM NAVIGATION SYSTEM! THIS EVO IS MODIFIED AND VERY FAST!